Providing more young people opportunities to engage with those who are different from them. 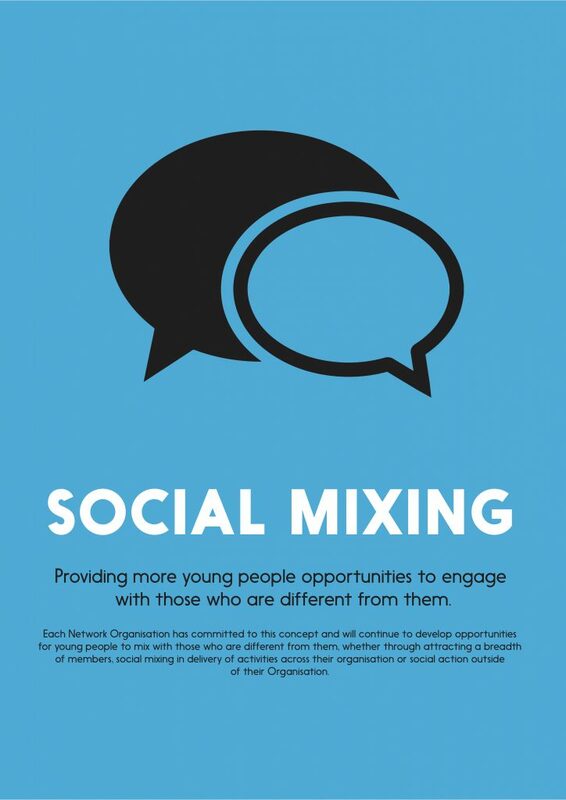 Social Mixing – Providing more young people opportunities to engage with those who are different from them. Each Network Organisation has committed to this concept and will continue to develop opportunities for young people to mix with those who are different from them, whether through attracting a breadth of members, social mixing in delivery of activities across their organisation or social action outside of their Organisation.